More catch-up happening here! This was (not surprisingly) the next instalment in the required reading for the Lay Worship Leader course that I am currently taking (2/3 of the way through - I can't believe that we are on the home stretch already!). This book is a very practical introduction to the United Church of Canada - from governance to theology to practical day-to-day stuff like what worship services might look like. My honest thoughts? I wish that someone had given me this book to read 13 years ago when I was new to both church in general and The United Church of Canada specifically. Or maybe 5 years ago when I started becoming involved with the committees and official board of my church. At this point, I didn't find that there was anything new for me to learn from this book. 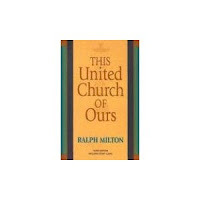 It was an easy read, and if nothing else, it affirmed to me why I choose to be a member of The United Church of Canada. I am here by choice, not because I was raised here or told to be here. I love The United Church of Canada, despite (and sometimes because of) it's faults. We may not do some things well (e.g. sharing our faith), but there is lots that we do do well (e.g. being accepting of and welcoming towards everyone, no matter who you are or where you come from, as well as all of the social justice stuff). And so that was this book. 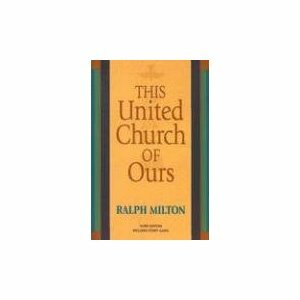 If you are curious to learn more about The United Church of Canada I would highly recommend it. I would also recommend the blog of the current Moderator (national leader) of the United Church, Gary Paterson. You can find it by clicking here. He writes very well and provides insight into some of the behind-the-scenes stuff at the national church level, as well as his own experiences traveling the country (leaving family and friends behind) to represent the church.